During the presidential election of 1872, Susan B. Anthony famously cast her ballot. During the presidential election of 1872, Susan B. Anthony famously cast her ballot, and was fined $100 by the United States government for doing so. At this point in the history of the country it was illegal for women to vote, and Anthony’s action here, shortly followed by a speaking tour, sparked a national campaign for women’s suffrage. As a result of her efforts, and many other suffragettes, women gained the right to vote when the 19th amendment was added to the constitution in 1920. 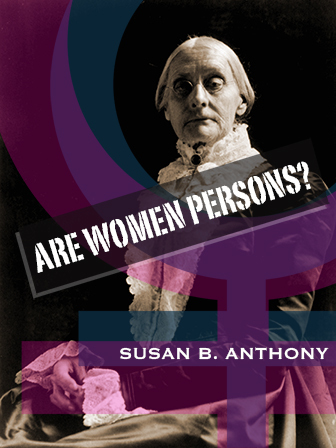 “Are Women Persons?” is one of Susan B. Anthony’s most famous speeches. This could serve as a great anchor text for a unit on rhetoric, persuasive speech/essay, and/or the history of feminism, equal rights, and the United States.